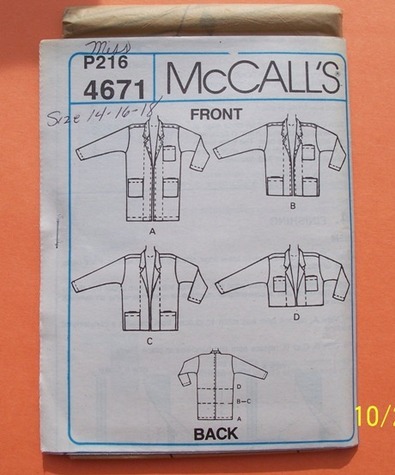 McCall's 4671. Misses unlined, collared jacket with patch pockets in 4 lengths. Includes instruction sheet and uncut pattern. Condition: new/old/uncut. Size: Miss multi-size including 14,16,18. This from an estate sale. No company envelope, so no yardage requirements. Packaged in zip baggie.